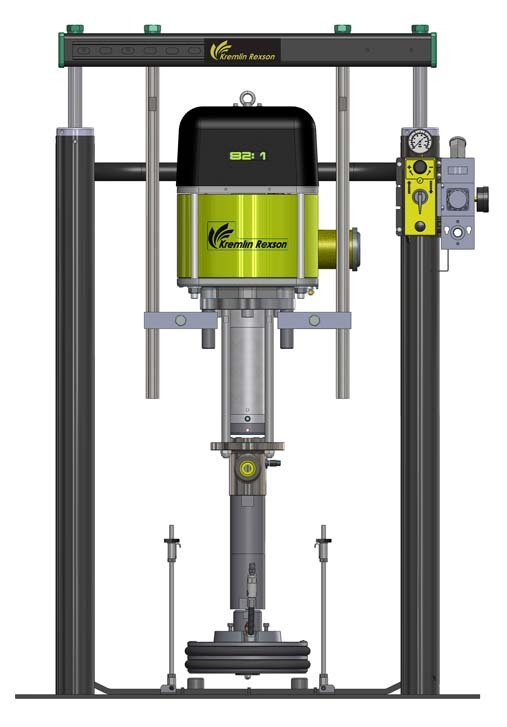 The Kremlin Rexson Vertical Cabinet Finishing System is designed to automatically finish ran­dom shaped parts conveyed on an overhead monorail conveyor though on a vertical finishing line. 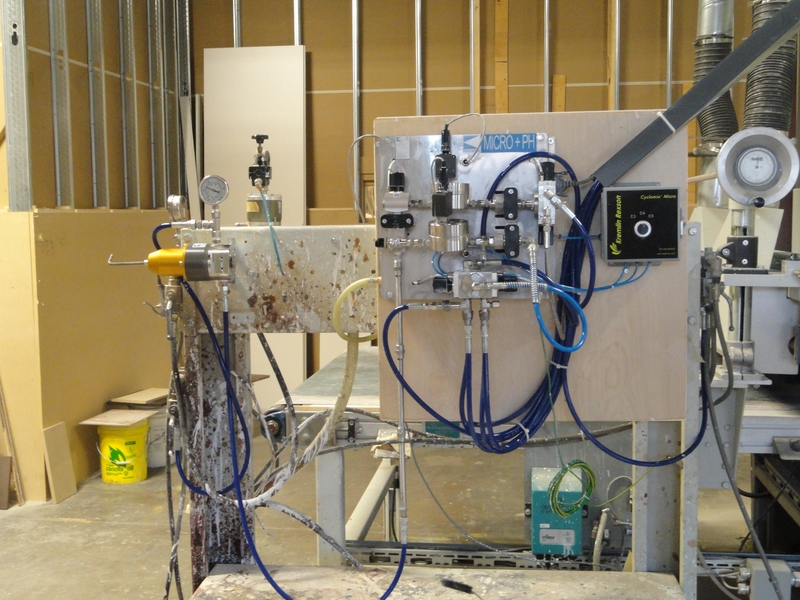 The system will automatically finish parts with a back-to-back finishing system for stains and glazes, sealers and top coats. This system will provide a uniform controlled film build while at the same time generate an A.T.E. 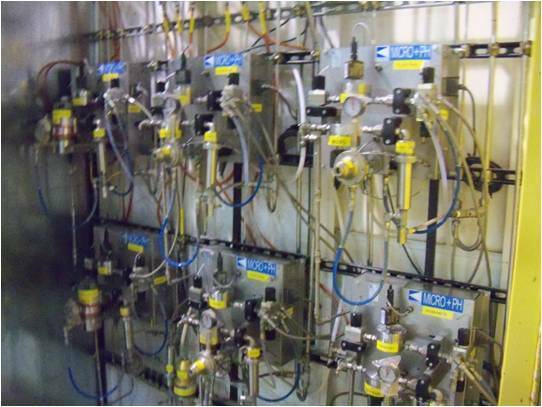 (Applica­tion Transfer Efficiency) in the range of 65%. The system is operator friendly. The uniformity of the film build will be controlled by the system, and not the operators’ ability. The guns will only trigger when the parts are present. Vertical systems are designed to apply a controlled film build on the door, drawer fronts and face frames, and all edges. The system is designed to avoid coating the backs of face frames which will improve the glue areas. identification system. When the parts enter in the finishing area, the AVX Airmix® guns, will coat the front face of the part, and the two remaining edges. This combination will pro­vide uniform coverage. Because the coatings tend to dry to fast for wet-on-wet edge coverage, each of the four edges must be finished completely in one booth. will be used to track the conveyor movement. 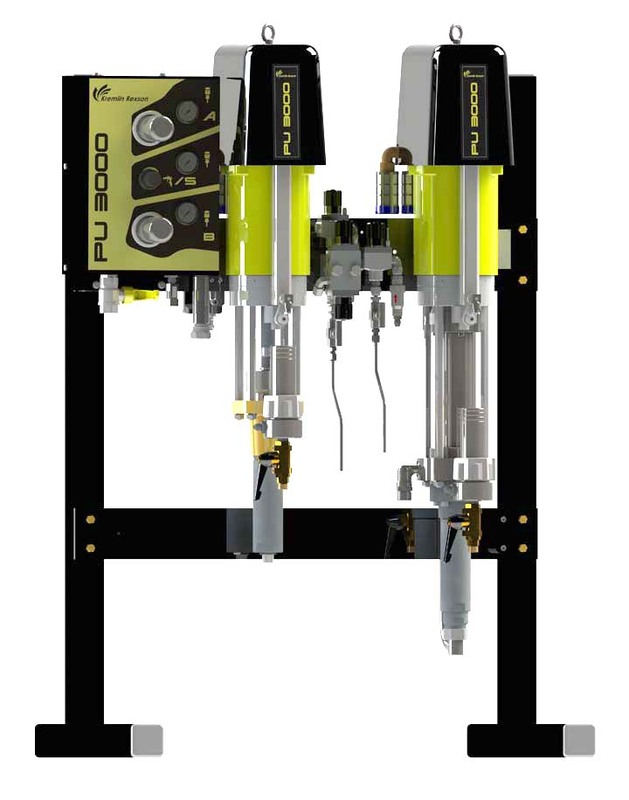 The recipro­cator will be a continuous chain type and will be capable of running at speeds up to 350 fpm. 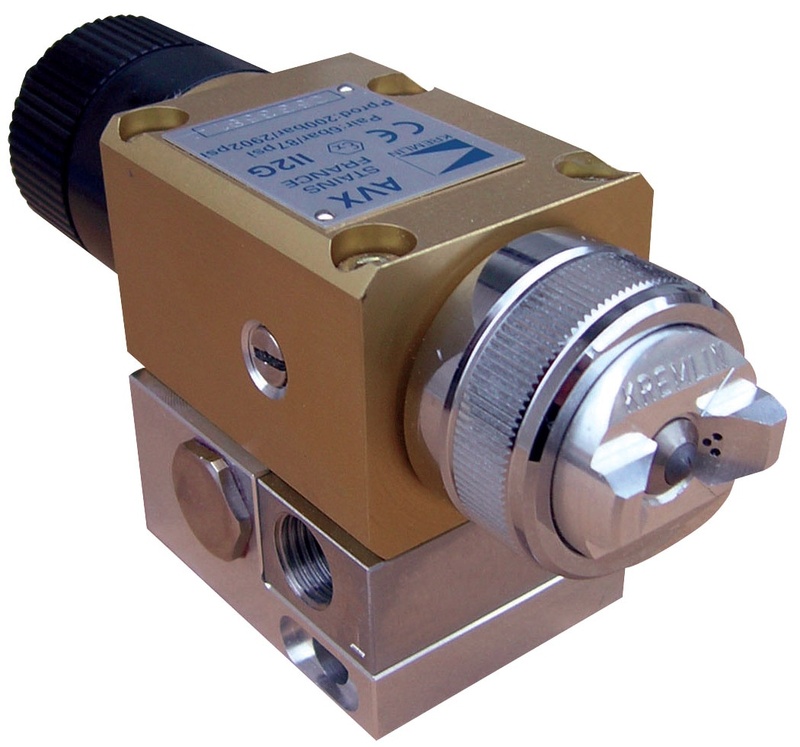 The system will setup to track this high-speed reciprocator. 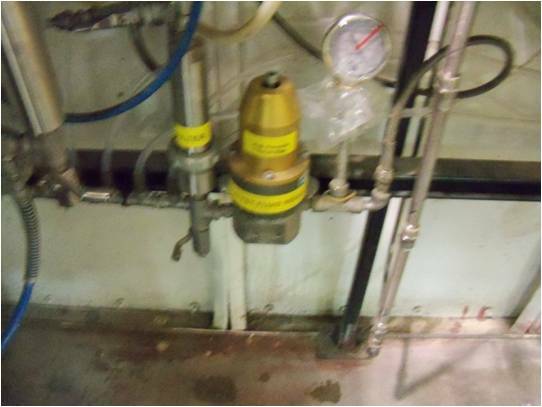 Two intrinsically safe sensors will be supplied for each re­ciprocator. One sensor will be used to determine the home position of the reciprocator. 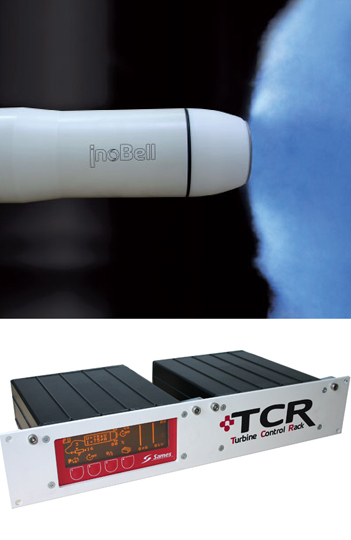 The other sensor will be used to track the incremental pulses of the reciprocator as it travels back and forth. Airmix® provides uniform paint distribution from the edge of the pattern to its middle. Other systems provide a heavy center, which leads to overlap problems. helps minimize color contamination problems when striping or with different colored heads. With the field-replaceable Delrin seat insert and the self-wear adjusting Rulon fluid cartridge, equipment up time is “second to none” in the industry. EXEL North America worked with Monarch Industries located in Winnipeg, Canada to reduce their Work-In-Process Time (WIP). 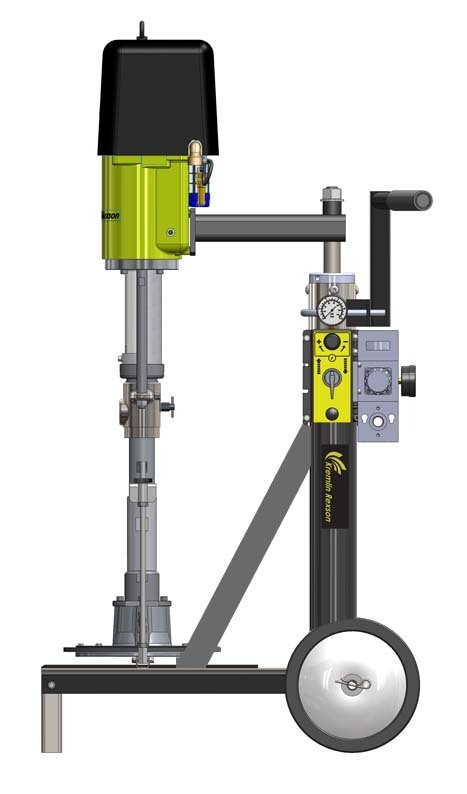 Monarch’s goal was to be the best manufacturer of hydraulic cylinders. Monarch Industries application consisted of automatic hydraulic cylinder finishing with an overhead monorail conveyor system. 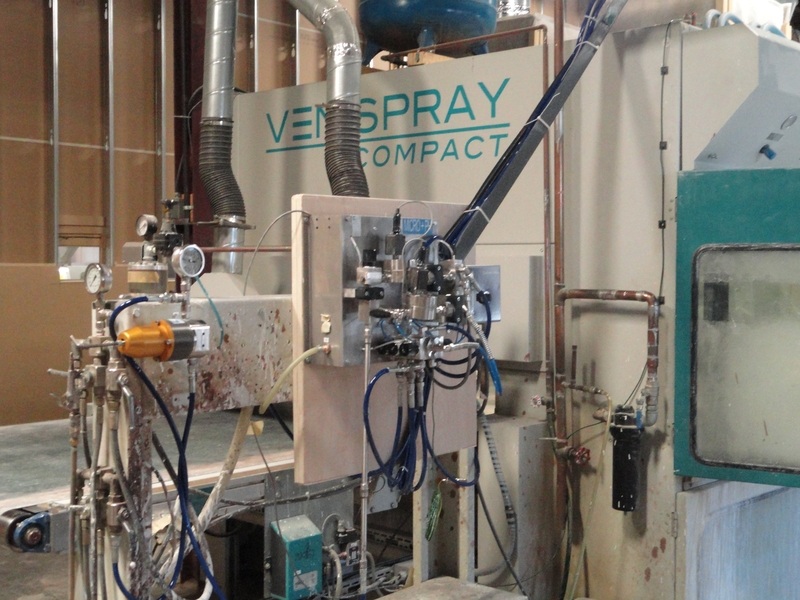 They were using manual Graco Electrostatic equipment and running three shifts with approximately 10 people per shift. Monarch was producing 2000 cylinders per day with varying batch sizes while each cylinder needed to be primed and top coated. The primer was a one color 2k epoxy, and the top coat was a 2k urethane in various colors. 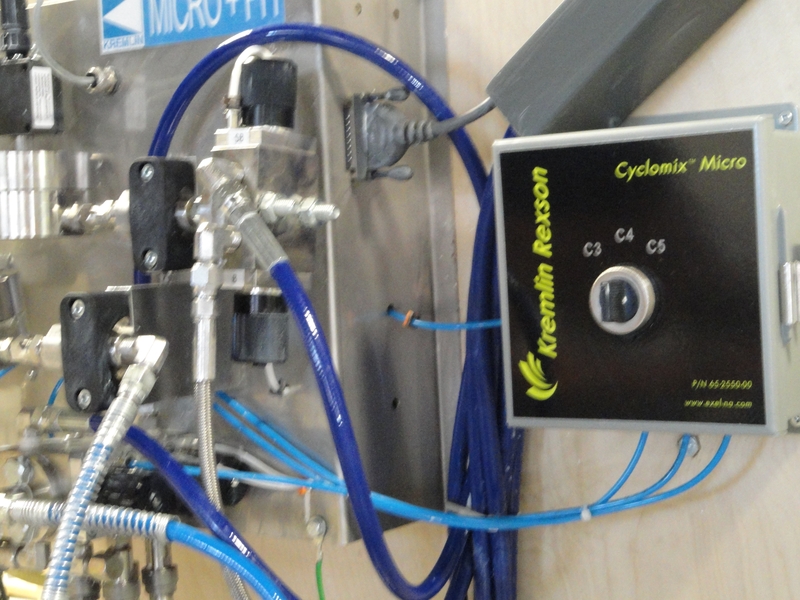 One of the reasons this was a success was because the RFV2400 system allowed us to only spray on the apex of the cylinders, which provided a much higher Transfer Efficiency rate than previous systems. The system allows for rapid color change with fresh urethane at all times and we were able to control the process with an RFID control system. 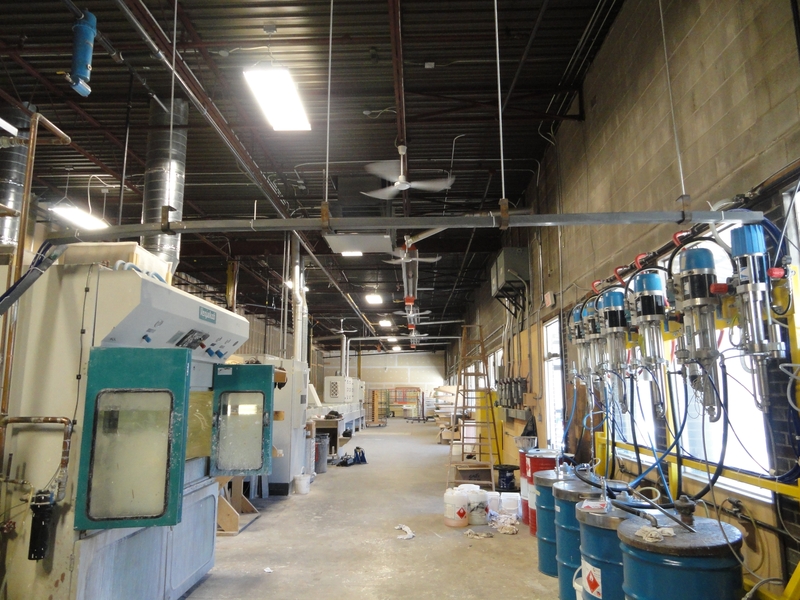 EXEL North America was able to help Monarch Industries save on their painting costs. The paint costs went from $1.50 per average cylinder down to $1.00 per cylinder. With the new system in place, all cylinders are finished during one shift while the old system required three shifts with 10 people on each shift. In addition to paint costs savings, we were able to create a labor savings of approximately 20 people.